Now Serving Richmond, Virginia and Surrounding Areas! In the hours and days after birth, new mothers experience extreme hormone fluctuations. During this time, placenta encapsulation can offer an easier transition until the body resumes its own naturally-balanced hormone production. » Placenta Opioid Enhancing Factor offers natural pain relief from either vaginal or cesarean birth. » Oxytocin produces feelings of happiness and encourages stronger bonding with your baby. » Human Placental Lactogen prepares the mammary glands for milk production. ​» Prolactin stimulates milk production. » Cortisone releases cortisol to combat stress and increase energy. » Interferon stimulates the immune system. » Hemoglobin stimulates iron production (deficiency linked to postpartum mood disorders). » Urokinase Inhibiting Factor reduces postpartum bleeding. Because the placenta is only washed, prepared, and dried, the energy boost offered by this method is especially beneficial for individuals with a personal or family history of depression. We dehydrate at a level high enough to eliminate any potential bacteria or pathogens that may exist. It is by far our most preferred method of preparation. We ensure that our Specialists dehydrate at OSHA and National Food Safety Commission recommended levels of 160 degrees. This method is similer to the Traditional Chinese Method (TCM) but generally excludes additional ingredients such as organic lemon, cayenne pepper, or ginger. The additional steaming step in this method offers a milder source of energy, so it's great for moms with a personal or family history of anxiety, a personal history of insomnia, and those that are GBS positive. If additional additives are desired, please contact us in order to arrange for inclusion. All of our placenta encapsulation packages are full service. This includes pick up of placenta, choice of preparation, choice of capsules and delivery to your home. The only exception is if you choose in-home placenta encapsulation where the provider comes to your house to provide the service in your kitchen. In this instance, we are glad to meet you at your home in order to provide encapsulation once you schedule us to arrive. All clients who sign up for our services within 3 weeks of their due date will receive our transportation kit mailed directly to their home, shipped in an eco-friendly package. Included is a cooler for proper storage, along with handling instructions for your birth. Our guaranteed turnaround time is within 48 hours unless the placenta has been frozen. We are on call 24/7 with 365 days of coverage offered. 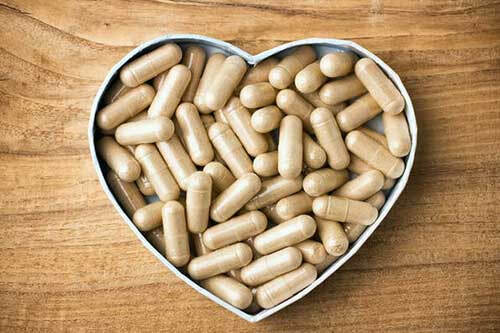 Placenta encapsulation is a modern practice that has been used in Traditional Chinese Medicine (TCM) since the 1500s. Interestingly, this is much longer than modern medicine has even been in existence. It is widely believed a new mother’s mental health, recovery and well being are much improved by ingesting your placenta. There are several cultures that find it customary to prepare the placenta for the mother (or are known to consume part or all of the placenta) including nationalities such as Chinese, Vietnamese, Hungarians and Italians. The placenta is said to be rich in nutrients and it is believed placenta encapsulation will provide an enhanced benefit to help mothers recover from childbirth easier and possibly increase milk supply with breastfeeding. Prices start at $200 depending on the specific needs of your family. We offer courier services to pick up your placenta, if desired. Contact us to schedule a reservation today. Get in touch so we can chat about placenta encapsulation. ​We are happy to forward you our comprehensive information packet upon request. It details the what, the why, and provides details on how our Placenta Encapsulation experts can serve you the best using our established, industry-supported protocols and processes.